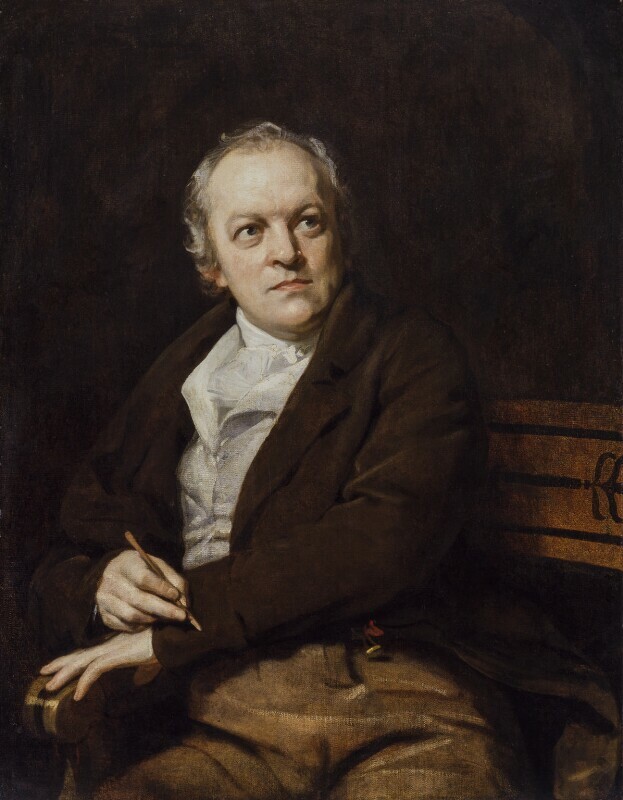 William Blake (1757-1827), Visionary poet and painter. Sitter in 10 portraits, Artist associated with 5 portraits. Often misunderstood or scorned for his radical politics, Blake's work was only recognised by close friends like Fuseli and Flaxman and his disciple, the young Samuel Palmer. Phillips is said to have caught Blake's 'rapt poetic expression' by luring him to talk of his friendship with the Archangel Gabriel.